Everyone likes finding a bargain and the internet makes it easy. All sorts of websites let you swap products, offer free shipping and that let you buy or sell things you want to get rid of. But finding all that takes time. Here are two websites that put it all together. Ecofreek.com is a search engine that scours 45 different search engines and 10,000 libraries around the world to find free and swappable items that are available from people don’t want or need them. Ecofreek makes it easy to search for those special items. Sign up for a free account, then browse the latest listings or enter a new search. Many people are familiar with websites like craigslist and Freecycle.org. The difference here is in scope. Ecofreek’s expanded search includes Classifieds.com, Kijiji.com, Recycler.com and Paperbackswap.com, craigslist and more. Ecofreek geographic range includes Canada and Australia, the UK, even back to your home town. Ecofreek’s founders encourage people to give away or swap working, usable items instead of throwing them away and they offer a list of resources that let you do just that. Another great online resource is Wanted to Buy on BlueRectangle,.com. The site’s a one-stop shop for all sorts of things you want to sell like cars, computers, dvd’s, textbooks, gold and even human hair. Click on a topic and the site will give you useful information and links to lead you to potential selling websites. 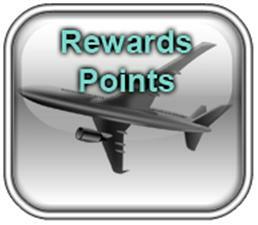 Have airline reward points or gift cards you’d like to cash in? Have too many dvd’s floating around your house? BlueRectangle’s Wanted to Buy is a good place to turn them into someone else’s new stuff. BlueRectangle plans to expand its “Wanted to Buy” categories to include tools, jewelry and sporting goods. It’s a useful site to help first time online sellers as well as more seasoned folk connect and be successful. Searching for something online is now easier and a lot less time consuming. So whether you want to sell your unwanted clutter. swap it or get something “new” for free, now you have two easy ways to do it. Ecofreek.com and Wanted-to-Buy take the hassle out of needing to search multiple websites to find what you’re looking for. And they’re free! What can be better than that! Check out Debra's latest newspaper articles from Distinctly Green and from online at Envirothink and Beamingsun. And be sure to catch her radio spot, Eco Trends, every Tuesday & Thursday around 3:20pm (Pacific).